This Cheese Log is a sponsored conversation written by me on behalf of TH Foods. The opinions and text are all mine. 10 Minute prep creamy, sweet and tangy Cranberry Pistachio Cheese Log is the EASIEST yet most impressive appetizer you will ever make! This festive goat cheese log can be made DAYS in advance so it’s the perfect stress-free appetizer for Thanksgiving, Christmas or any holiday party! YAY for easy entertaining! and YAY for the best Cranberry Pistachio Cheese Log! Can you believe Thanksgiving is next week?! I have all your scrumptious sides covered (click HERE to see them all in one place) so this has been the week of appetizers! And I saved the best for l last. My dear Readers. 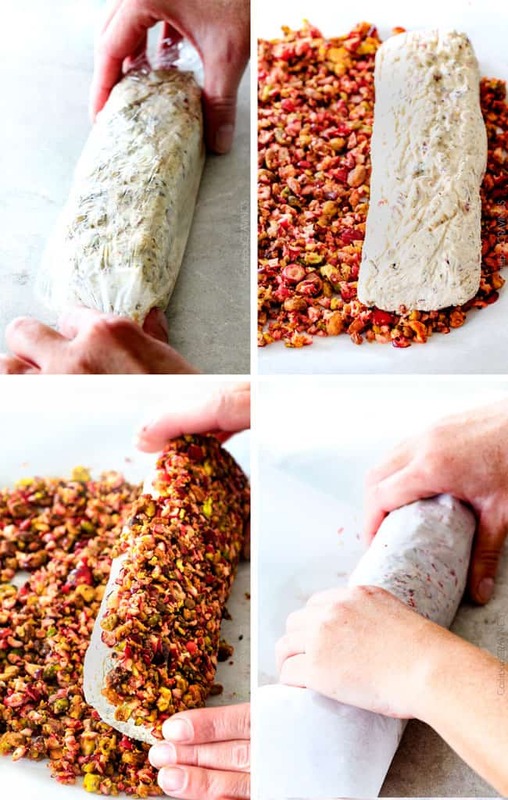 I don’t beg often so you know I’m serious when I implore you to please make this Cranberry Pistachio Cheese Log. For you. For your family. For your guests. Everyone will lovoooooe you for it! With the bustling holiday season upon us, this Cranberry Pistachio Cheese Log is your back pocket appetizer ace to sanity and deliciousness all entertaining season long! It’s sophisticated and beautiful yet deceptively simple to prepare. At the same time, it’s so crazy delicious everyone will crowd around until every last pistachio crumb has been licked off the plate. 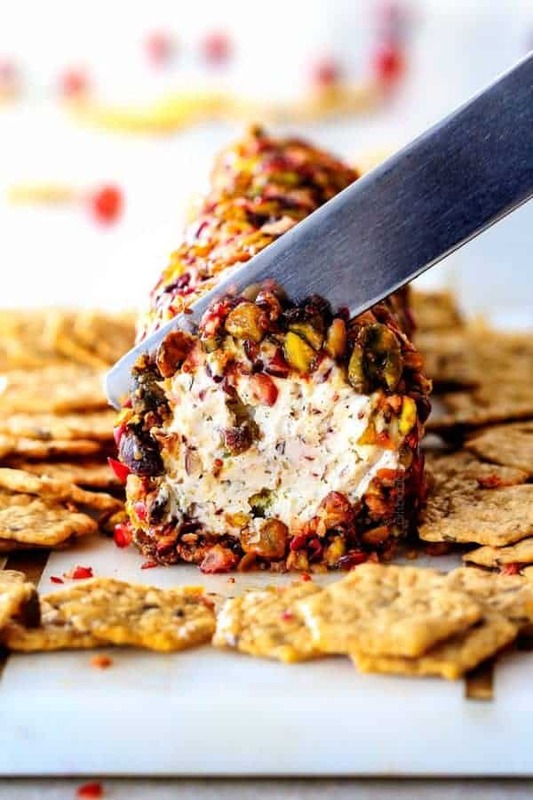 The outer coating of tangy, fresh cranberries and salty, crunchy pistachios paired with the tangy, smooth and creamy herb spiked goat cheese is an indulgent, textural taste of heaven. 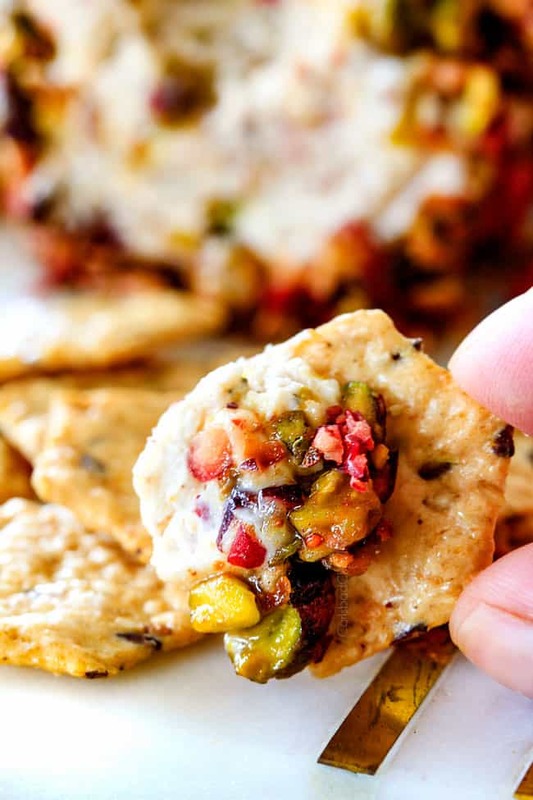 Drizzle it all with honey to enhance the flavors and balance the tangy cranberries and goat cheese then dig in with Crunchmaster crackers for even more textural bliss. This Cranberry Pistachio Cheese Log can be paired on a cheese plate with grapes, nuts, etc. or can stand alone served with Crunchmaster crackers. If you aren’t familiar with Crunchmaster crackers, they are the secret to gluten-free entertaining which is especially important to me as several of my family members, including my mother-in-law eat gluten free. 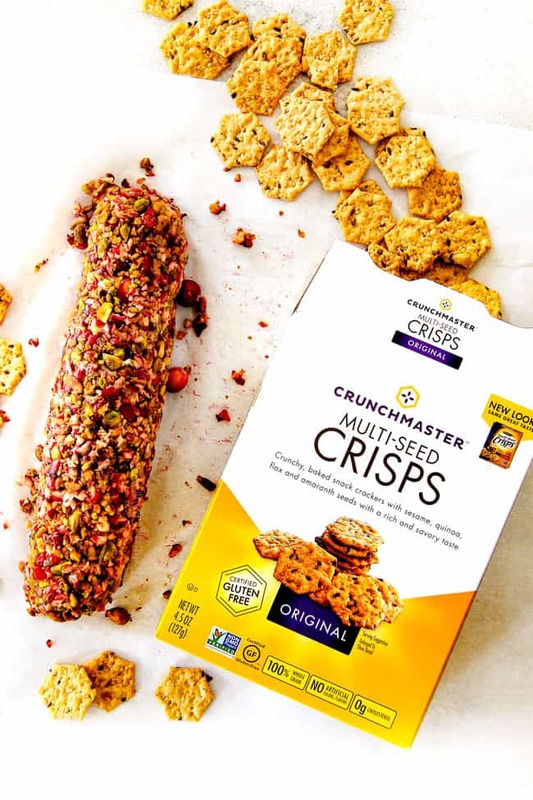 Not only are Crunchmaster crackers whole grain, non-GMO and gluten-free so you can feel good about eating them anytime, anywhere, but equally important, they deliver delectable crunchy goodness and savory punch in every tasty bite. Pair them with all your dips and cheeses this season and all year long for appetizers everyone can eat. Visit https://crunchmaster.com/ for more great recipe ideas and to learn more about their awesome nutritional value. Once you’ve picked up your Crunchmaster crackers and are ready to make your Cranberry Pistachio Cheese Log, you can be serving your appetizer in no time! To make, first pulse your fresh cranberries and pistachios in your food processor until chopped small. I have never seen a cheese log with chopped cranberries like this, and let me tell you, it’s divine and looks gorgeous! Remove 1/2 cup of your chopped cranberries and pistachio to a medium bowl to make your filling. Next add your goat cheese, cream cheese, honey, sugar and dried thyme, dried rosemary ground ginger, ground cinnamon, salt and pepper and stir to combine. The fact that we are adding pistachios, cranberries and seasonings to the inside of the cheese log and not just to the outside means flavor through and through which equals maximum flaaaaaaaavor through and through. The filling will be quite soft at this point, so we add it to a piece of plastic wrap and form into the shape of a log, wrap it up and freezer for 20-30 minutes until slightly firm however we still want it to be semi-soft so the coating will stick to it. Next, sprinkle your chopped cranberries and pistachios onto a piece of parchment paper in a single layer square a little larger than the length of the cheese log. Add the cheese log to the edge of the Coating and roll until evenly coated, pressing Coating into the cheese so it sticks. Viola! 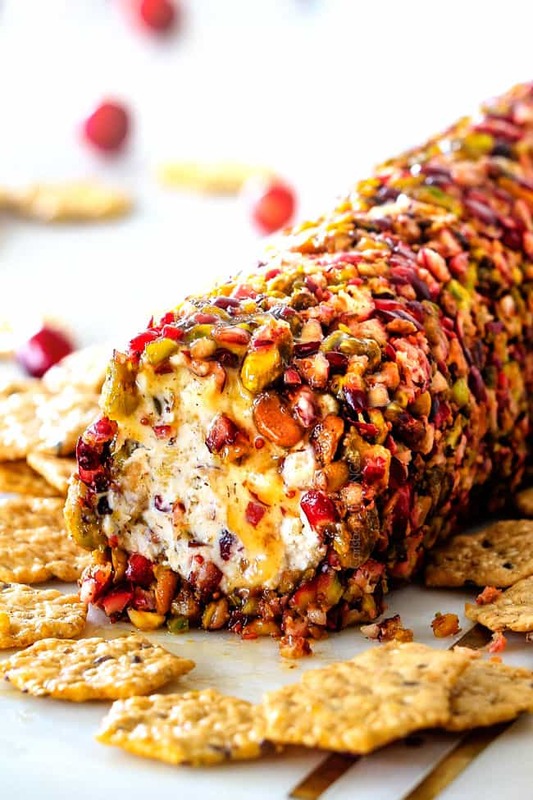 You’ve just made your impressively beautiful, festive, crave worthy Cranberry Pistachio Cheese Log! The cheese log can be wrapped tightly in plastic wrap at this point and refrigerated for several days until ready to serve – love this, because, when it comes to holidays, appetizers are all about simplicity. When ready to serve, remove the Cranberry Goat Cheese Log from the refrigerator about 15 minutes beforehand so it can soften and come to room temperature. Drizzle generously with honey just before serving to compliment the tangy cranberries and goat cheese and serve with your Crunchmaster crackers. And enjoy every rich, creamy sweet and savory crunchy bite with a subtle punch of flavor and a not so subtle punch of Oh. My. YUM. 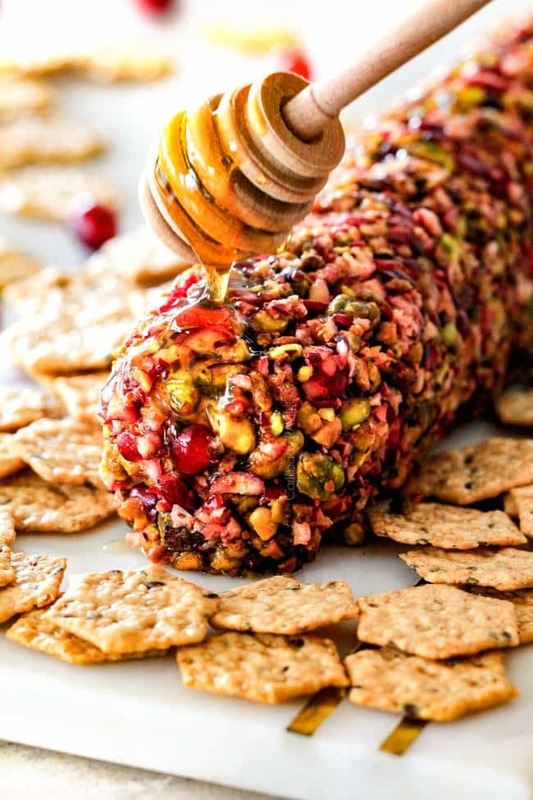 Want to try this Easy Cranberry Pistachio Cheese Log? Pin it to your THANKSGIVING, CHRISTMAS, or APPETIZER Board to SAVE for later! 10 Minute prep creamy, sweet and tangy Cranberry Pistachio Cheese Log is the EASIEST yet most impressive appetizer you will ever make! This festive goat cheese log can be made DAYS in advance so it’s the perfect stress-free appetizer for Thanksgiving, Christmas or any holiday party! 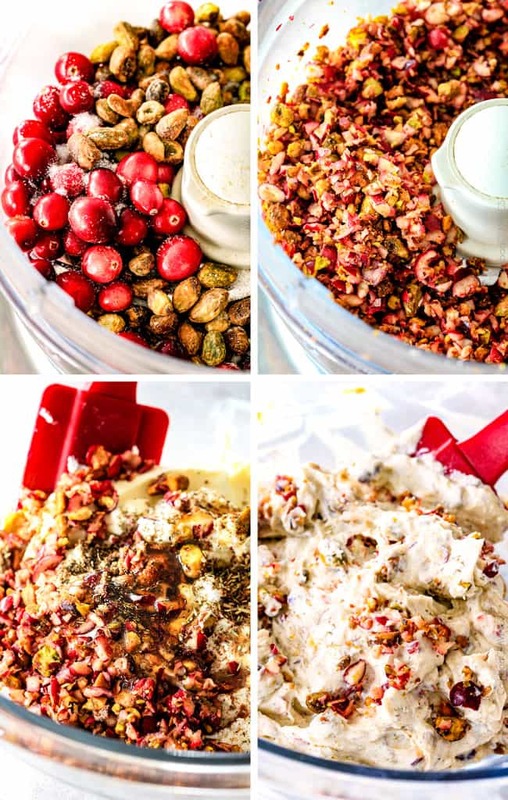 Add cranberries and pistachios to your food processor and chop into small pieces. Remove ½ cup and add it to a medium bowl. Add all remaining Goat Cheese Log ingredients to the bowl and stir to combine. Add this cheese mixture to a large piece of plastic wrap, and form into the shape of a log. Wrap in plastic wrap. Freezer for 20-30 minutes. We want the cheese log slightly firm so it holds its shape but is still soft enough for the Coating to be pressed into it. Line counter with about a large piece parchment paper. Add Coating ingredients to parchment and spread into a single layer square a little larger than the length of the cheese log. Add cheese log to the edge of the Coating and roll in Coating (see photos) until evenly coated, pressing coating into the cheese so it sticks. The cheese log can be refrigerated at this point until ready to serve or serve immediately. 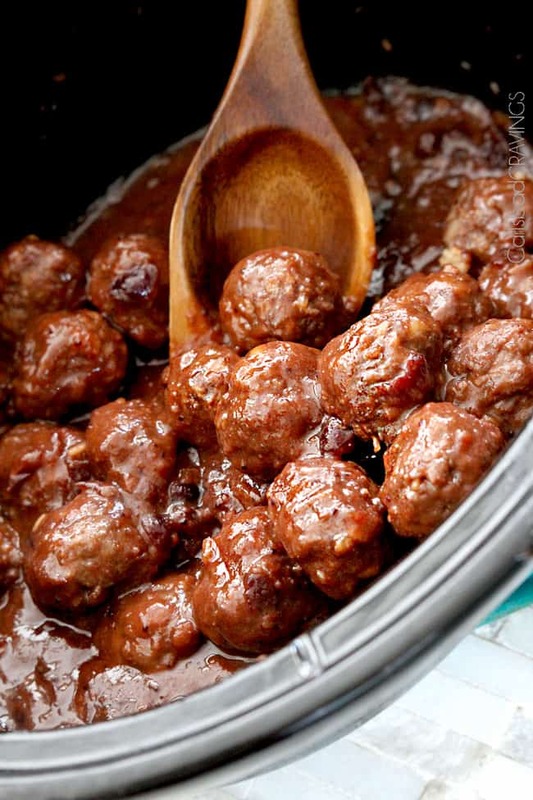 When ready to serve, remove from refrigerator 15 minutes beforehand so it can soften. Drizzle generously with honey just before serving. Serve with crackers. *I used Laura Chenel’s in the tub. This sounds interesting. Do the pistachios lose their crunch when making ahead? Hi Kathryn! I don’t find pistachios overly crunchy like other nuts so I would say they loose a little crunch but not too noticeable – the texture is still great. Hi Sue, I think frozen would be fine as long as they are defrosted and thoroughly patted dry. Enjoy! Merry Christmas! I don’t like goat cheese. Would feta work? Hi Marilyn, feta won’t stick together like goat cheese. I would try cream cheese instead. Enjoy! Can I freeze this? I just made it, but would like to serve it on Christmas in 4 days.. so not sure if I should leave it in the fridge that long or freeze it? Hi Ratha, you can certainly leave it in the fridge for 4 days if it is well wrapped, no problem! I made this for a get together last weekend. Very delicious and festive for the holidays! 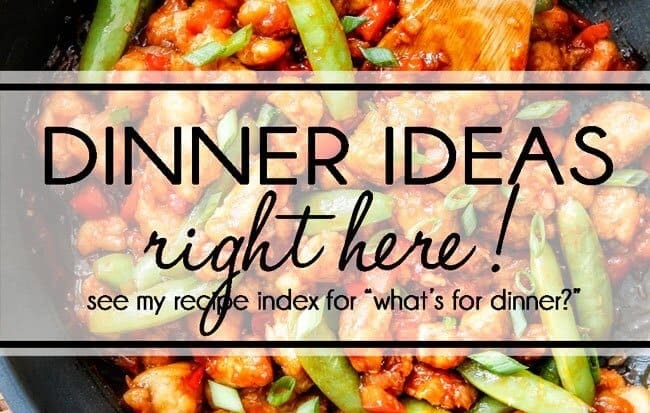 Thanks for yet another great recipe, Jen! Merry Christmas to you & your family and wishing you all the best in the new year!! You are so thoughtful Koree, thank you so much! I love hearing you are enjoying my recipes! I hope you have a very Merry Christmas and Happy New Year as well! I don’t recommend freezing because it will loose moisture and become crumbly. Sorry! Have you ever tried using dried, sweetened cranberries in this instead? I just wondered if the cranberries were tart or not. 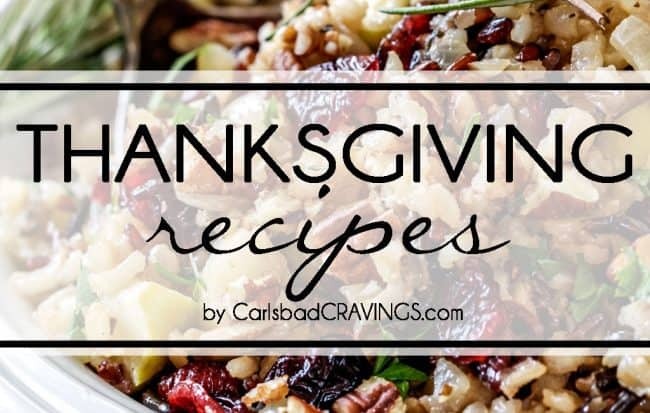 Hi Ashlee, I like the texture of fresh cranberries in this recipe. The tartness is balanced by the honey and sugar for a delightful sweet-tart combo. Hi Basia, you could use half cream cheese/half goat cheese or I think it would also work with all cream cheese. Enjoy! HI Jen, just made your Cranberry pistachio cheese log and absolutely love it. My daughter and I get together for our Christmas cookie memory bake and we shared appetizers and this had to be on the list. The pic of this was what made me want to try it, it is so pretty. My husband was home and also joined us and loves it also. It will be on my have to make list of appetizers. Thank you so much Diane! I am honored this made the list of “have to make appetizers!” What a fun traditional you and your daughter have! Happy holidays!